AWESOME GATED LOCATION WITHIN ALIANTE. THIS HOME FEATURES A OPEN FLOOR PLAN WITH FIREPLACE IN THE FAMILY ROOM. MASTER BEDROOM HAS VAULTED CEILINGS WITH WALK IN CLOSET AND CEILING FAN. ALL SECONDARY BEDROOMS ARE A GOOD SIZE. TILE FLOORING IN KITCHEN, FAMILY ROOM AND HALLWAYS. KITCHEN HAS A NOOK AREA AND BREAKFAST BAR. 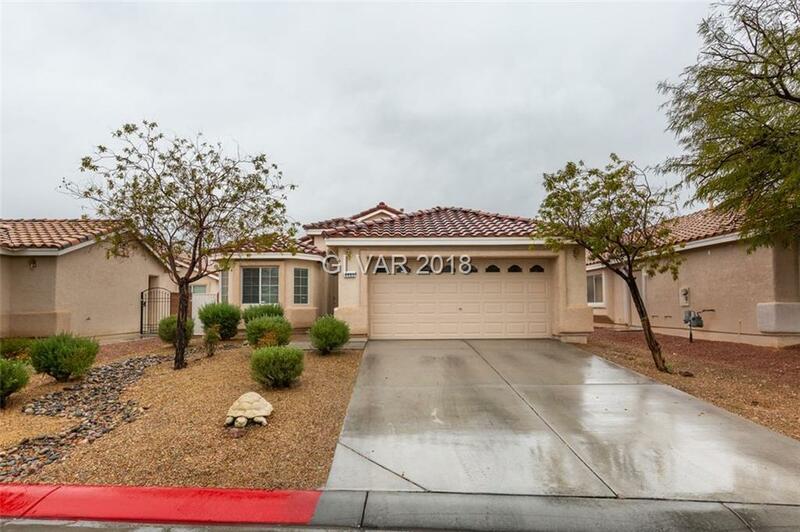 THIS HOME CLOSE TO SCHOOLS, SHOPPING AND 215. DON'T MISS OUT PRICED TO SELL! Directions: From 215 & Decatur, Go N On Decatur, R On Deer Springs, Right On Warbler Cove, R On Meadowlark Wing, Left On Yellowwood Cove, L On Valley Quail To Property.